Lily spends an endless amount of time scrolling through social media on her phone, but she promises it’s all work related. 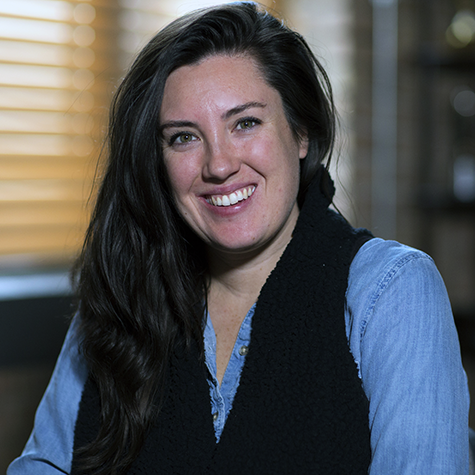 At TeamWorks, Lily drives clients’ overarching social media strategies, making sure the content our team creates matches each brand’s persona. Coming from a background in public relations, Lily knows a good story when she sees one. She uses that sense to determine what stories her clients’ audiences will care about and how to best showcase them across platforms. Basically, she finds out what gets her clients’ audiences to care. Lily has worked on a variety of projects here from elite athletes to dive-bar regulars who think they’re athletes. While there couldn’t be a bigger difference between the audiences of the Bank of America Chicago Marathon and the Big Buck Hunter arcade game, she always finds a way to create a community of unique and passionate fans across social media. While at TeamWorks, Lily has also worked on projects for Northwestern University, Intercollegiate Tennis Association, and Chicago’s Museum Campus South. She is currently searching her phone for her favorite Beyonce gif.